A former international player born and raised in Barcelona, Spain, where he attained #104 ranking in Spain. He competed and trained with top players in the world (#1 Rafael Nadal, #48 Oscar Hernandez, #34 Alberto Martin, #128 Oscar Serrano, etc…) and wins on over top 600 ATP Players. 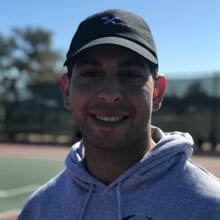 Started playing intercollegiate tennis in the US in 2003 with a full athletic scholarship to Freed-Hardeman University in Tennessee and also at the University of Incarnate Word in San Antonio, where he played #1 in both universities (singles and doubles). Named Best Player in the West Conference in 2006 (NCAA D2). Placed #2 in the region in singles - National Association of Intercollegiate Athletics (NAIA) and #5 in the nation in doubles – National Association of Intercollegiate Athletics (NAIA). Has 20+ years coaching experience internationally in Spain and France, and in the US. Has coached top juniors in the world (former #1 & #12) at Roddick’s Academy. Numerous certifications such as USPTA Elite Coach and RFCT Elite. Graduated with a Bachelor of Business Administration in Sports Management and a Masters in Communication Arts. 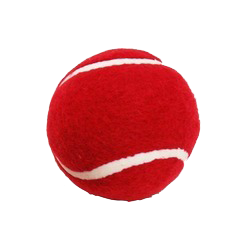 Started playing tennis at age 9 and went on to play tennis at a high school in California. He won many accolades during his high school tenure including Athlete of the Year. He trained in prestigious tennis academies in California. He hopes to continue his tennis career in the collegiate level next year. When he is not playing tennis, he likes to run, bike, and read the latest novels. A former international player born and raised in Syria. Former ranked #2 in the country and #1 in the state. Played multiple ITF torurnaments in Syria and Lebanon. 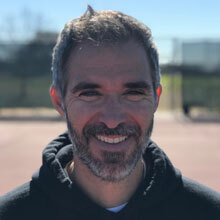 He has been coaching at Ideal Tennis for the last 5 years as a tennis coach but also as the physical trainer by helping all the students improve their footwork and endurance skills on the court. He is a former former fitness specialist trainer at Lifetime Fitness. Steve has a very strong background in sports nutrition and strength training. He graduated from UTSA with a Bachelors of Science in Kinesiology with a focus in athletic medicine. His goal in life is to become an orthopedic surgeon in hopes of becoming a team physician for a professional sports team. 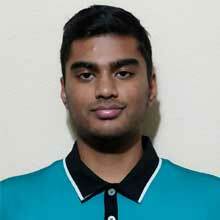 He scored top 9% in the country for the MCAT!